The last bear I shared with you was a rambunctious panda goofin’ around with a snowman. 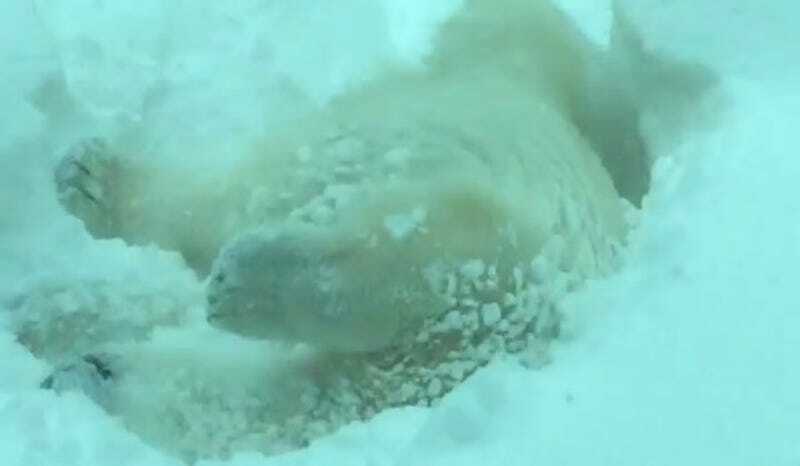 Today I am here to show you a delightful polar bear rolling around in some big fluffy piles of snow. Yes, this is two straight Bear Fridays featuring a bear and some snow. Do I look like I care? We’ve only had one decent snowstorm in New York this year and I have not enjoyed any winter activities. The snowy bears make me feel better. Also, there are other animals doing cute things in this video, so really there is no reason to complain.